"I believe in great American novels, but not the Great American Novel. This is a Great American Novel: exquisitely lush language of the natural world; startlingly vivid characters; a global understanding of social context, in a particular place; and, in this case, steel-wire narrative tension stringing through the beautiful prose like piano wire. It is the book this year that I feel every American should read, because of its greatness and also because of its deep wrestling with issues of class, complacency, climate change, culture, and especially gender." 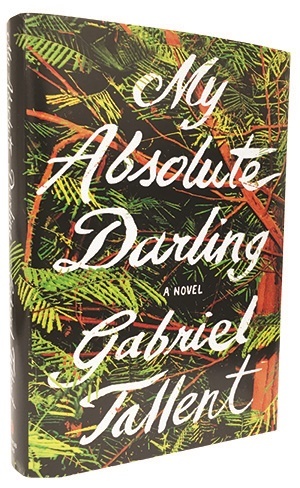 Booksellers have chosen Gabriel Tallent's harrowing debut novel, My Absolute Darling (Riverhead Books), as the number-one September Indie Next List pick. 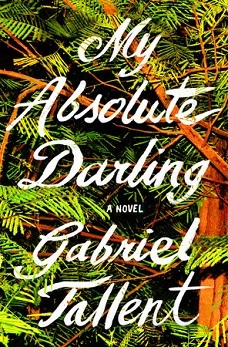 My Absolute Darling follows a rugged, talented 14-year-old girl named Turtle whose survival skills and personal courage allow her to traverse the Northern California wilderness at will, but who must use these same skills to navigate a suffocating home life with her troubled and dangerous father, Martin. Tallent's first novel has received high praise from booksellers, literary critics, and authors. According to Stephen King, "The word 'masterpiece' has been cheapened by too many blurbs, but My Absolute Darling absolutely is one"; Harper's Bazaar called My Absolute Darling "one of the most important books you'll pick up this decade." 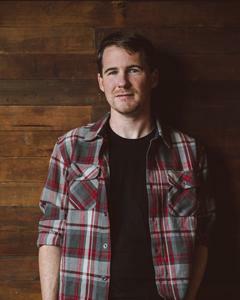 Tallent grew up in Mendocino, California, and received his bachelor's degree from Willamette University. He has worked as a trail crew leader for the Northwest Youth Corps in Oregon and Washington, and his stories have been published in Narrative and in the St. Petersburg Review. He lives in Salt Lake City with his wife, Harriet. We spoke with Tallent about the origin of the book, his love of wilderness, and how he came up with the unforgettable character of Turtle. 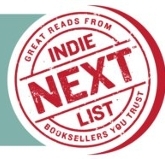 How do you feel now that indie booksellers have chosen your debut novel as the number-one Indie Next List pick for September? It feels kind of surreal. I met a lot of booksellers at Winter Institute and BookExpo, and I've done a bit of traveling around--it's been an amazing and eye-opening experience to see these little bastions of open-mindedness and of fiction, and all the best parts that go with that, all around the country. It's been inspiring. I'll be touring for most of September, and I'm lucky enough to be hitting some bookstores that I'm really excited about and where I've met the folks. I feel really lucky, really fortunate, to be invited to the home grounds of these booksellers who I've met elsewhere, and I'll also get to see some new bookstores that I'm less familiar with. I'll be touring from August 29, when the book drops, until September 27. How did you come up with the idea for Turtle's story? The short answer is I really wanted to write about resistance. I'm deeply interested in that idea and particularly in resistance when you feel complicit or divided within yourself, which is perhaps an experience common to all historical moments but which feels like a very contemporary problem, with global warming and all of the structural inequalities of society in which we all sort of participate and don't know how to extract ourselves from. I'm really drawn to that problem and how you find the way forward when the way forward is not clear, and how you become a good person in adverse circumstances. I did a great deal of writing for many years and came up with a number of storylines but Turtle was the best, so at some point, I made the kind of terrifying decision that Turtle would be the entire book, that I would shuck away everything else. So I committed entirely to her storyline without muddying it with anything else. What was it like to put yourself in the shoes of this character, a young girl being abused by her father? How did you get yourself into that mindset, and what was it like writing from that perspective? One of my stepping-off points into that deep water was Turtle's love of wilderness; she moves in many of the same places I moved. Her forests are my forests, and I felt like that was a great point of overlap. We had this love in common, and I felt like that was the first point of clarity that I had about Turtle. This is a thorny question because I'm writing from a position of privilege that I think should be acknowledged, and people have raised that question. I think it's a good question that should be raised about fiction, but this is also my culture, the violence that happens to women and the culture in which girls grow up, so in some ways it didn't feel that far from home. I worked intensely to try to honor her experience. I think that there is a dynamic in fiction where, especially with victimized women, there's a dehumanizing aspect, so I wanted to keep hold of Turtle as a person who is making the decisions, and I wanted that to feel true and exact. So I always sort of pursued that: to be honest about Turtle and to chase that feeling of honesty. Can you discuss your travels in the Pacific Northwest leading youth trail crews through the wilderness? How did that affect the writing of this book? I worked for two seasons for Northwest Youth Core, an organization that hires youth to build trails mostly in Oregon and Washington. I was based out of Leavenworth, and I met all of these incredible young people from diverse backgrounds, some at-risk (in the way that any group of teenagers is going to be at-risk), some not. My experience was that these teenagers met adversity with a plurality of different mindsets and different degrees of courage and humor that were utterly unlike anything that a textbook would lead you to believe. So I felt when writing Turtle that she just needed to feel like herself. She didn't need to feel like any kind of type, because that's not what I encountered. I already had the arc of the book when I started trail crew, and so I just had the desire to make her seem like a real person and not a victimized teenager. One prominent aspect of the book is the way Turtle interacts with her environment; there is a lot of beautiful nature writing, as well as technical writing about guns and outdoor skills, like building fires. Did you do much research, or did you draw on things you knew? It was a huge amount of research. I felt that I had a good handle on how Mendocino feels and on how those gulches and meadows look. What I realized is that I had the wrong names for lots of plants, and it was a learning process of comparing my experience to what one actually learns as an adult. With the guns, it was a tremendous research project. I didn't want to lean on a preconception of what cleaning and firing the guns would feel like, because I feel like preconceptions are often shallower and more facile than sustained engagement, so I took that on as a pretty serious research project. I wanted the guns to feel real, which included going into the field and firing guns myself. What is your writing background? Have you always been interested in writing a book? Writing was something I'd always been interested in doing but was really afraid to set out and do because it seems like such an uncertain future. But after I graduated, I decided to take that risk, to take a year and write and see what comes, and, of course, nothing came of it. I wrote for 30 hours a week for a year and I had no successes under my belt. I was really beginning to realize the scope of the difficulties, but I also fell in love with it. I studied cultural history of the 18th century in college and loved it, so I imagined that that would be my trajectory. I didn't go to an MFA program; I didn't really have any instruction. I just wrote as much as I could as often as I could, about 20 to 40 hours a week, every week. A couple of years in, when I realized I was still several years out from having a novel that I could shop, I called my mom and said, I really don't think I can afford to do this; I have no career, I'm working at a ski lodge, I don't want to be a server for the rest of my life. I don't know what I'm doing and if I'm really going to make this novel into the book that I want it to be, then it's going to take me years and I may not even be able to sell it then. She told me, just take the risk; if you fail at this, then you've set your financial stability back several years, but if you give up, you'll always regret it. Do you have advice for booksellers when it comes to hand-selling your book to customers? "Little Fires Everywhere is a breathtaking novel about art, motherhood, and truth. Mia and her daughter, Pearl, move to the perfectly planned community of Shaker Heights as the last stop on their nomadic adventure, bringing some much-needed permanence to teenager Pearl's life. They both find friendship, but the connections they create with their landlord's family will soon change all of their lives. Impossible to put down or stop thinking about. A great read." "In Rene Denfeld's new novel, a woman who searches for abducted or lost children must confront her own memories of being abducted as a young girl. While searching for a girl recently kidnapped in her hometown, she is haunted by her past and the lies that she used to weave her present, lies that often took the form of stories. Meanwhile, the abducted girl must survive years of terror and heartbreak, all while constructing a magical mythology to shield herself from the atrocities of her captor. These characters, especially the women, are strong and imaginative. Readers who enjoyed Room will devour this literary thriller, which promises to open up Denfeld's readership to a much wider level." 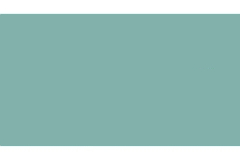 "Claire Messud is one of our most talented storytellers. Her latest, The Burning Girl, is a crystalline evocation of the deep friendships that develop between teenage girls, a bond unlike any other. Messud traverses the fraught alliances and raw emotions of high school, reminding us that these ordinary rites of passage can have extraordinary consequences. Messud's writing is deft and immersive, her character development sharp and perceptive. The novel recreates the pain of first realizing that it is impossible to fully know another, that our self-narratives reflect how we want to be seen but not who we actually are." "I've always admired people who knew what they wanted to do from an early age, whether that was to be a doctor, a marine biologist, or a writer. Enter Joan Ashby, a young girl determined never to marry and certainly never to have children; then she does both, and that is when her tale truly begins. Not only are we privy to her life's story, we get to read some of her short stories and parts of her developing novels -- the stories within the story, if you will. The only thing any of us know for sure, except for death and taxes, is that the hoped-for path is never straight and never predictable. I flat-out loved this book!" "This is the novel John Boyne was born to write: A brilliant book of identity and redemption, both heartbreaking and humorous, intimate and expansive. Cyril Avery has been constantly reminded he doesn't belong, first by his adopted parents, then by the church and his country. As we follow him on his journey to acceptance, we are shown the cruelty of fate and the surprising kindness of ordinary people. Boyne perfectly constructs every story told, unveiling the humor and hypocrisy of humanity in each character and illuminating how the arc of Cyril's story is also the arc of modern times. An amazing feat from the first page to the last." "Fever, which grabbed me from the beginning, takes place in South Africa several years after a devastating illness wipes out most of the planet. It starts as a thrilling survival tale between a brilliant father and his 13-year-old son and quickly evolves into a fascinating study of human nature and the perils of building a new civilization from scratch. The survivalist details throughout the novel are especially fascinating, as are the conflicts within the society as it grows. A dense, captivating read that drew me in and kept me hooked." "Constance Kopp is back, solving mysteries and making headlines! Deputy Kopp is a heroine of her day and continues to inspire today. Whether assisting young girls in finding their footing on a law-abiding path, using her voice to stand up for the voiceless, or fighting crime alongside her all-male counterparts, Constance Kopp is breaking with traditional female roles and navigating sometimes-stormy waters with grace, dignity, and a bit of humor. What does a feminist look like? This is what a feminist looks like!" "The World of Tomorrow is so wise and so ambitious in scope, with characters so complex, sympathetic, and real, that you will be hard-pressed to set it aside at a reasonable hour. Mathews' success in rendering the physicality of New York City just before WWII, the complexities of the Irish-American experience, and the first awful rumblings of the Holocaust, along with all the details of class, race, family, tragedy, comedy, heroics, and jazz, make this a truly immersive reading experience. With beautiful prose, a plot that manages strand after strand of narrative without ever becoming knotted or coming undone, and a cast of characters as alive as any on the page, this novel is a masterpiece." "In The Hidden Light of Northern Fires, a town on the Underground Railroad secedes from the Union after it becomes fractured by the politics of the American Civil War. As a huge geek on the subject, I'm often skeptical of historical fiction relating to it. While Wang's tale benefits from being based on truth, that is a moot point. His well-developed, very real characters and masterful writing are all that's needed for an incredible debut. Though a novel of the home front, it is nonetheless a war novel focusing on how conflict brings out the best and worst in people. It is one of the best works of historical fiction on the Civil War that I've ever read, and perhaps even that exists." "Danez Smith has a remarkable talent for distilling disparate experiences and emotions into powerful and provocative images. His poems tackle the complexities of being young, black, and HIV-positive. He is a keen observer of the human condition, and his words express with urgency the need to understand one another. I loved this collection, and I'm so glad that this born-and-bred St. Paul poet is getting the recognition his talents so richly deserve." "Ranger Games is a fascinating examination of family, duty, psychology, and crime. Ben Blum's cousin Alex wanted one thing in life, to be a U.S. Army Ranger, but after completing the program and right before his first deployment, he seemingly inexplicably wound up driving the getaway car for an armed bank robbery with three other Rangers. Blum digs deep into his cousin's story and the culture of the Rangers to find out why and how, and the result is a riveting, thought-provoking book." " 'Beguiling' is the perfect word to describe The Red-Haired Woman, which feels like an entrancing fairly tale, set in a far away, exotic land peopled with fascinating men and women. The story plays out over the life span of one man whose actions and choices over one summer, however fleeting, will turn out to be the formative events that shape his entire life. I particularly enjoyed the summer nights in the quiet town, as the boy stole around the back alleys, hoping for a glimpse of the red-haired woman. This book is unlike any other I've read." "The Other Alcott is an imaginative look at May--the youngest sister of Louisa May Alcott--and the relationship between the two siblings. While Louisa's art was created with words, May was a visual artist who hadn't yet hit her stride with painting when Louisa gained fame as the author of Little Women. Readers will be captivated by May's adventures from Concord to Boston and beyond, to Europe, as she grows her talent and is recognized for the artist and the woman--independent of her sister--that she is." "In Swallowing Mercury, nuanced gestures, drop-dead metaphors, and indelible observations coalesce in a series of short, adolescent episodes from 1980s Poland. English-speaking readers possessing no knowledge of the political climate and history of the time, fear not, for Greg's primary concern is one of universality, as many scenes take on that unmistakable relatability of childhood. Stories of high jinks, first love, familial absurdity, and (inevitably) death are the basis of these vignettes, while an excellent note from translator Eliza Marciniak contextualizes the book within the wider world." "I don't know Nancy Pearl, but I imagine the beloved librarian turned national book commentator would be too modest to recommend her debut for your reading list, so I'll do it for her. Pearl has written an intelligent, character-driven page-turner that asks important questions about honesty and forgiveness and examines how conscious choices and behaviors strengthen us and our relationships. Raised by brilliant but emotionally detached psychologist parents, Lizzie faces ongoing and often humorous internal battles that ultimately lead to a crossroads in her marriage to George. You may examine your own relationships as you read this witty, kindhearted story. Pearl clearly seems to love the characters she has created. You'll fall for them, too." "Oliver, the titular center of Liz Nugent's chilling debut thriller, will attract and repel the reader as his deep wounds and legacy of destruction are revealed by his own confessions and by the recollections of those whose lives intersect with his. The novel opens with Oliver, a successful writer living in apparent domestic contentment, beating his wife into a coma. Why? As Oliver's crimes come into focus, Nugent's brilliance is in balancing the evil he does with the evil that is done to him. Is he to be reviled or pitied? Or both?" "Jack is charming and handsome, but underneath his cool exterior is a brutal psychopath who thrives on terrifying others. His wife, Grace, found out too late that he is a monster who seeks to control everything she does. Even her handicapped sister, Millie, is part of Jack's vicious plan. Paris has crafted a riveting, intense tale that will keep readers on the edge of their seats until the last page." "Anyone can recommend a book, but it's rare that someone can fully articulate its lifelong impact. With deep care and reflection, Schwalbe offers readers the most personal and heartfelt parts of himself in his latest collection. This is not a list of Schwalbe's favorite books, but is instead an explanation of how certain books and authors taught him timeless lessons about our deepest longings. Schwalbe's voice, both intimate and universal, leaps off the page and fills the room as only the liveliest conversations can. I want to read every title mentioned, if only to keep the conversation going." "This gorgeous novel grabbed me from the very first page and kept me hooked with characters that are vivid and lovable. As each woman, through letters and diaries, shares her place in the intrigue, romance, sorrow, and friendship of Chilbury and World War II their lives become increasingly real. When their individual triumphs and sorrows of the indomitable Chilbury Ladies Choir wind together during their performances, Ryan's writing reaches a soulful crescendo that will continue to echo in readers' hearts. Fans of Helen Simonson should not miss this beautiful debut." "It was just a kiss, but it nearly killed her. Jubilee is allergic to people. She can't be touched by strangers, well-meaning or not. She retreats into her shell, away from the world, but her high school years pass, then her parents are gone, and, finally, she must move out into the world or die. She finds a home for her quiet life in a library, until Eric finds her and insists that she discover the truth of a life lived without fear. Close Enough is filled with real life, real people, and the search for happiness that we all recognize." "Cruel Beautiful World is a masterful family drama about sisterhood, love, and the dangers of entering the adult world. Lucy is sure that she and her high school teacher are in love and agrees to run away with him to a rural paradise where they can be together until she turns 18. Lucy, however, gets more than she bargained for when her life turns into one of isolation and deprivation. Her sister, Charlotte, never gives up hope that Lucy will return. Their shocking reunion will leave readers riveted to the page." "At a time of talk about building walls and isolationism, Davies offers a look at American history through the lives of a group of people who have helped to forge this nation--Chinese-Americans. Set in the California Gold Rush, 1930s Hollywood, and the present day, Davies' tale is artfully told with passion and conviction, and readers will empathize fully with each generation of 'outsiders.' "
"Silver turns the oral tradition into fine literature with Little Nothing, a masterful work of fairy tale and folklore. Pavla, a dwarf born in Eastern Europe in the early 20th century, is a survivor who magically adapts time and again in order to overcome cruelty. Danilo loves her and is obsessed only with protecting her. This is a story of the power of transformation, and the gift of finding the love we need, if not the love we seek." "The intersection of world history and family history, the interplay of memory and imagination and the blurred and shifting line that separates sanity and madness all come into play in this stunning book. In the months before his death, Chabon's grandfather revealed much of his life to his grandson. On that foundation, Chabon has built a novel filled with family stories, World War II episodes--an obsession with rocketry, and a vividly realized, against-all-odds love story. While all the characters are richly developed, the narrator's grandfather--the brave, eccentric, anger-fueled, and deeply loving center of this novel--will remain with readers forever." "Behind every great man... is a woman whose name got left out of the publication credits. Physics historians continue to discuss how much of the creation of the theory of relativity--and the other brilliant papers published during Einstein's 'golden year' of 1905--can be credited to his brilliant but overlooked wife, Mileva Maric. This fantastic book casts a spotlight upon her, and how her hopes and dreams were shadowed and then crushed by Einstein's meteoric rise." "The most overused cliché in the book business is 'page-turner,' so I will ask indulgence when I declare that The Risen by Ron Rash is a page-turner in the truest sense of the phrase. The Risen explores a young boy's coming of age, sibling rivalry, a decades-old mystery, and extreme life choices. It is an exciting read for all who appreciate literature at its finest." "At its best, pop culture criticism forces us to reconsider a familiar product by placing it in a new context and, in doing so, imbuing it with new meaning. Trainwreck is just that. Doyle effectively and entertainingly litigates her case: that Western culture's fascination with 'fallen' female starlets--aka trainwrecks--is simply a modern form of the patriarchal silencing and marginalization of women that has been going for centuries. With sly humor and lively prose, Doyle systematically punches through all the familiar straw-man arguments and convincingly illustrates that the 'harmless fun' of Internet clickbait and TMZ gossip are merely modern forms of public shaming. A must-read." "Lib Wright, a protégé of Florence Nightingale and a nursing veteran of the Crimean War, is dispatched from London to a remote Irish village to keep watch on Anna O'Donnell, a young girl who is rumored to have refrained from eating for four months yet continues to thrive. Miracle or hoax? Lib is determined to uncover the truth, but the truth is never simple. In this beautiful, haunting novel, Donoghue weaves a tale of misguided faith and duty, exploited innocence, and redemptive love. What is the secret behind Anna's mysterious ability to survive? The truth is uncovered as The Wonder propels readers to a shocking conclusion."